Experience the thrills, chills and spills that twentieth-century viewers went to see every week at the matinee. Episodic films that ended in cliffhangers left everyone wanting and waiting to see what happened to their favorite hero or the villain they loved to hate. Well, wait no more. Re-TV has brought together many treasured serials for your viewing pleasure. Chapters that will keep you coming back again and again. 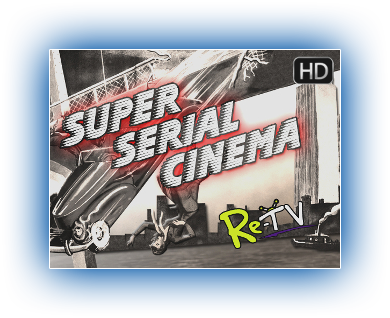 Subscribe now to Super Serial Cinema, exclusively from Re-TV.